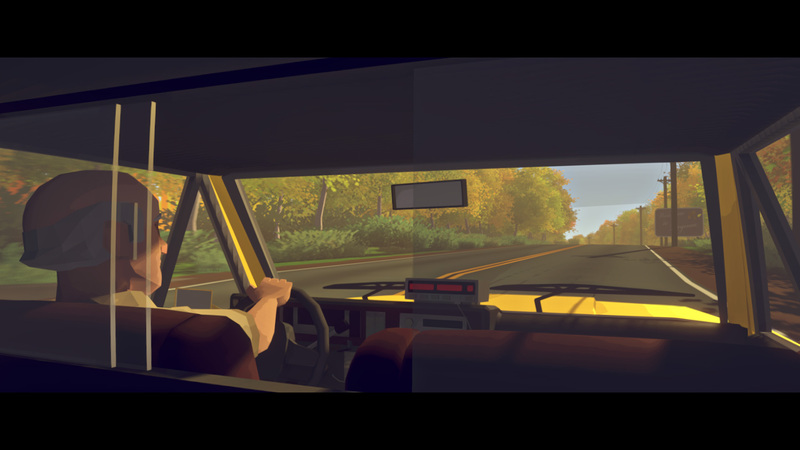 Review: VIRGINIA | "DESTROY ALL FANBOYS!" A must for those who love cinematic game experiences, unique visuals and jigsaw-piecing together a compelling narrative that holds a few surprises and life-sized curve balls for its cast of characters. Short attention span types, those who think some/all games are “art” that require no commentary, and those who want everything explained at the finale need not apply, though. Score: A- (90%) BUY IT! 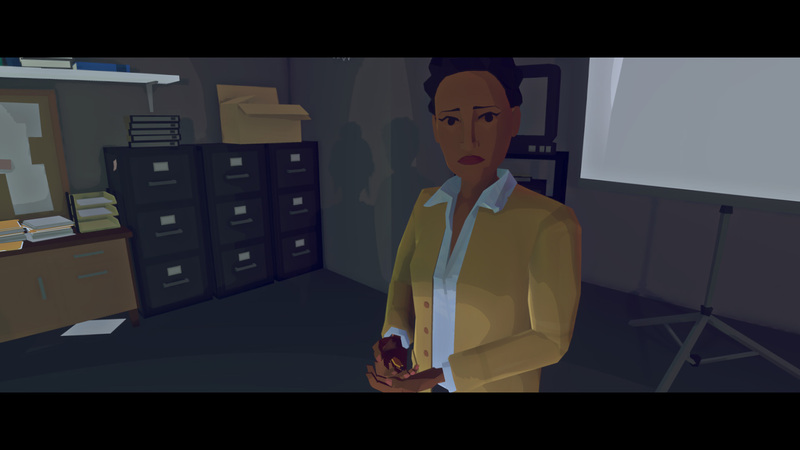 Variable State’s first game, VIRGINIA, is more of a work of interactive fiction presented in the language of videogames, but it’s also an impressive debut that works brilliantly. The catch is, in hoping players “get” the tricky mix of disjointed narrative and timed exploration sequences, the developer has unintentionally created a game that’s too damned smart for much of today’s gamer audience that craves explanation and arbitrary rules of realism apply to everything they play who also refuse to open their minds to something different that’s actually worth playing and replaying. In a nutshell, the story is about an FBI agent sent on a missing child case with another agent who needs a close eye kept on as there’s an ongoing investigation into unorthodox methods being used. That both agents are female, minorities and have some usual human flaws seems to rankle a few skulls. But reversing the sexes of the agents wouldn’t make a dent in the plot, as anything presented could happen no matter the gender of the main character or agent under the magnifying glass. It’s quite tricky (if not impossible) to review a game that plays out like a two-hour film without spoiling much, but this is why the experience is a must for fans of films such as Memento or any other cinematic work where elements make little to no sense at first glance thanks to deliberate editing that slices its story into bits and seemingly spreads them out at random. Interaction is little more than moving around areas and using/activating things with one button. But while very limited, it’s easy to miss objects in some areas that can be picked up or otherwise used to slightly to moderately change a few story elements or unlock certain Achievements. As for the story, let’s just say that things go sideways for both agents as they realize the case isn’t what it seems, and there are resolutions to a few conflicts you won’t see coming or will, only to be surprised at how either mundane or slightly to very bizarre they are. In English: if you love The X-Files, you’ll probably be smiling at one point. Some will see a bit of David Lynch here, as in the oddball brilliance of Mulholland Drive. 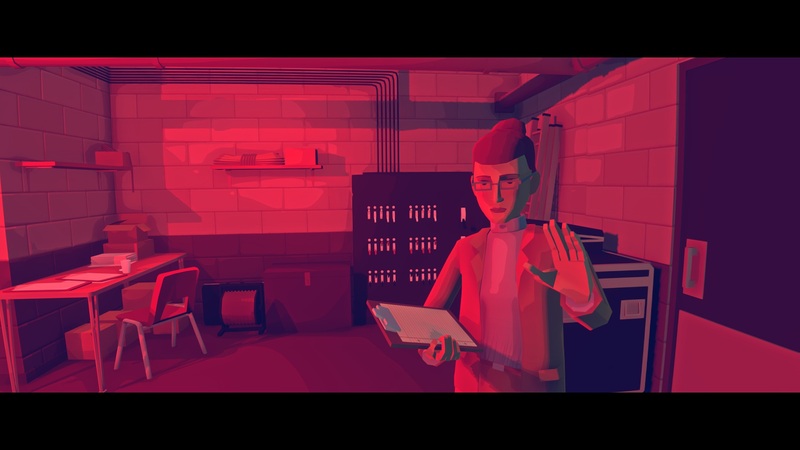 But to me, the “Lynch-iness” here is more in Variable State visually referencing stuff like a band with a singer in a bar playing against a red backdrop and some surreal (potentially drug-induced) sequences that beg for more time to scrutinize elements before they vanish as the narrative moves onward. If you know your game history well enough (or want to examine the graphics further), it’ll be easy to see the choice of art style is an impressive one. Recalling the visuals of something like the original Alone in the Dark while using modern visual techniques and effects plus a recommendations to play at 30 frames per second as opposed to 60 in order to keep things more cinematic was an excellent design decision. The one major hiccup to this is whether you choose 30 or 60, using a controller or mouse the first-person movement is prone to headache-inducing jitter that may make some players sensitive to motion sickness a little queasy. My own experience was of getting a headache about 45 minutes in, but forcing myself to go on playing because I wanted to solve the puzzle unfolding before my eyes. By the conclusion, I’d needed an aspirin and was playing with one eye open because the other was tearing up. Your mileage may vary, however. I’m also prone to motion sickness when playing some first person games with low angle FOV, motion blur that can’t be turned down/off or too quick turning speed. 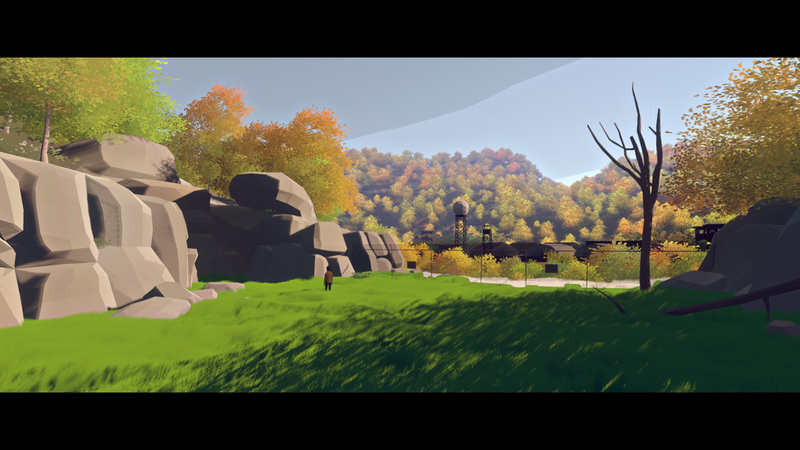 On the aural side, the game’s soundtrack by Lyndon Holland is a beautiful thing indeed. Tasked with carrying the game’s wordless style, it’s a moving work that shows how important music is in conveying proper mood in a game or film. It’s a sad thing to see some off-base criticism leveled at the game for having no voice acting because some who don’t grasp a particular design choice think the budget didn’t allow for it. In fact, it’s a well thought out stylistic decision that’s fantastic and recalls everything from many classic silent films, Luis Buñuel‘s more surreal output, and yes, even the work of Jaques Tati. Of course, Tati’s more comical approach to silence as gold is a great deal different on the surface. Variable State should be commended for making a game where you’ll needs to pay close attention to what you’re seeing, as it helps in discovering the truth as parts blend together. By the conclusion, your brain will very likely need time to sift out what’s real and what’s illusion, but it becomes clear if you grasp it that there’s something purely mundane at the heart of one mystery while a whole case of cans of worms opens up on other aspects of the story. In a way, it could be said that a lot of what’s here happens almost anywhere in the world on a daily basis, but without the more unusual elements presented, of course. If you want to skip the game entirely but are interested in the plot or just want to read the results of a player who’s paid careful attention to the details and wisely decided to post her thoughts, this post by good friend/fellow writer Jessica Brown is pretty darn on target on everything it covers. While some may be disappointed VIRGINIA is extremely linear and seems to provide very little choice to players, the thing to realize here is it’s best to go in blind as opposed to going in “expecting” a clone or extension of something previously played. The narrative disarray is intentional and as noted above, the straightforward movement is actually very cleverly hiding a few secrets for the curious and willing to discover. A single play will unlock only 5 of 17 Achievements, so those who crave completion and perhaps the opportunity to subtly alter the plot will need to dip back in for a replay or three. Oh, by the way, that “widescreen” presentation? Also great, but it’s something some will dislike because they prefer using every inch of monitor real estate. I guess Variable State and other developers will hip to that jive at some point. But for now, just go with it. Not all of us are running our games across multiple monitors or just don’t mind the theatrical presentation some games go for. This one comes highly recommended, but go in with an open mind and enjoy the ride, please. You may like it a lot more that way. This entry was posted in Commentary, DAF, Features, Updates and tagged #virginiagame, 505 Games, BUY This Game, Digital Games, DLC, Gallery, Holiday Gift Guide 2016, Indie Games, Microsoft, PC, PC Games, Playstation Network, PS4, PSN, Reviews, SCEA, Screenshots, Sony, Soundtracks, STEAM, Valve, Variable State, VGA 101, Videogame Appreciation 101, Videogame Reviews, Videogame Trailers, VIRGINIA, Xbox Live, Xbox One by geelw. Bookmark the permalink. Thank you for the kind words on my theory post – I greatly appreciate that! I agree with you: this is a game that’s gotten panned by those that just want everything handed to them and don’t want a story deep enough that you need to suss out all the details. Some say the game is art and art should not be interpreted, but if that were true, wouldn’t that put many an art critic out of a job?